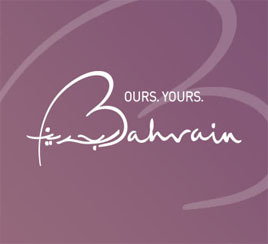 Chief Executive Officer of the Bahrain Tourism and Exhibitions Authority (BTEA), H.E. Shaikh Khaled bin Humood Al Khalifa, recently visited two new projects ‘The Park’ and ‘The Wharf’, which are both in the final stages of development and soon be open to the public in Bahrain Bay, Kingdom of Bahrain. During the meeting, the Chief Executive Officer of Bahrain Bay, Mr. Gagan Suri welcomed H.E Shaikh Khaled bin Humood Al Khalifa upon his arrival, briefing him on developments of both projects. “The Park” and “The Wharf”, which will feature sea-front promenades and walkways, will include a wide range of popular retail outlets and international brands, as well restaurants and cafes view sea views, public parks and play areas for kids; and also boast a range of business facilities. Bahrain Bay has maintained its reputation as one of the most iconic urban real estate projects in Kingdom, given its strategic sea-front location in the heart of Manama and close proximity to the Bahrain World Trade Centre, thereby providing easy access to Bahrain International Airport for visitors. The project also features vibrant neighbourhoods, with residential, commercial, touristic and retail spaces alongside a growing community with public facilities.